Take some time to make a handmade Valentine’s card for someone special. 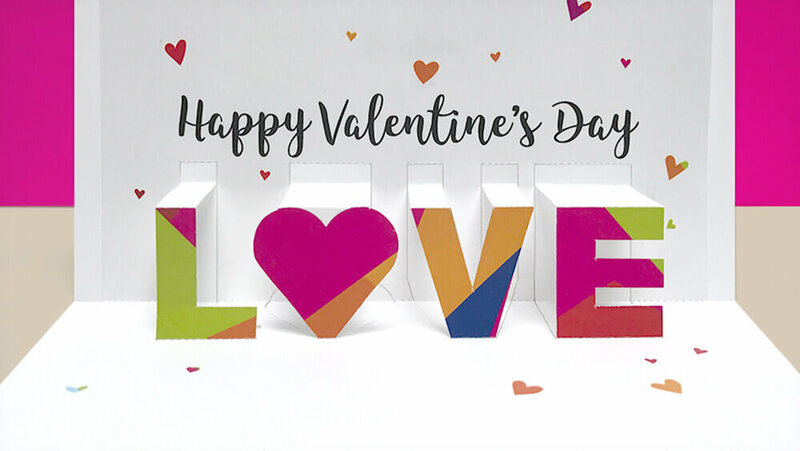 Download one or more of our templates to make your very own cards for everyone you love. You can customize them to make them special. We’ll get you started with templates that range from simple to more advanced. Have fun! Inside this card there’s a nice surprise with 3D hearts! You can decorate the outside of the card and write a message inside. You can even write a message right on the hearts! For your favorite Valentine, how about a big heart? This pop-up heart moves as you open and close the card to give a nice warm feeling! For someone who really has a hold on your heart, how about a chain of hearts? It’s nice to show how our hearts are tied together. Write your message out across the hearts or on the card above them. What could be more fun than dancing hearts? This lively little card has lots of little hearts dancing around, a great way to make your message more fun! The heart of this holiday is all about Love. Bring Love to life with a pop-up card that says your message loud and clear. Fun, festive and attention-getting this is a great way to show someone you care.